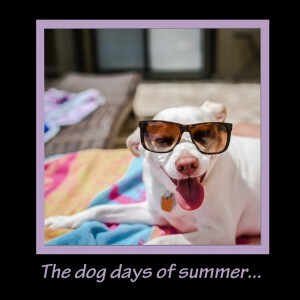 The dog days of summer are already here. We seem to have skipped Spring and gone right into Summer. What does that mean for Florida residents? It’s time for the media to bombard us with hurricane preparedness news and alarm us about every tropical wave, depression, and potential hurricane – even if it is weeks away. It’s enough to make sane people crazy. Mother nature has been extremely kind to us during the past ten years. The last hurricane to make landfall in Florida was Wilma on October 24, 2005. For many of us, that is a life time ago, and for new homeowners and new Florida residents, they may have never experienced a hurricane. Although I am not a fan of the constant reminders of how to prepare for a hurricane, it’s not something to be ignored. Procrastinating on getting your home ready can make a hurricane that much more difficult to endure. Everyone should have evacuation plans in place and makes sure their homes are as secure as possible. The Palm Beach County website http://www.pbcgov.com/dem/hurricane/ has a guide to help you get prepared… just in case. ARE YOUR HURRICANE SHUTTERS WORKING PROPERLY? But more importantly, now is the time to install hurricane protection or check your hurricane shutters and make sure they work and close securely. If something is broken, and is easier to repair it now rather than when a storm is approaching. Attached to the walls around windows and doors on bolts or tracks. The panels are corrugated, and each piece overlaps the next for maximum strength. THE BIGGEST PROBLEM WITH STORM PANELS IS THAT MOST HOMEOWNERS OFTEN DON’T CHECK THEM WHEN THEY BUY A HOME. MANY DISCOVER TOO LATE THAT THE PANELS ARE MISSING OR WERE CUT IMPROPERLY OR ARE TOO HEAVY TO INSTALL! — Most inexpensive of the permanent shutter systems. — Removable, so they don’t change the look of the house when not in use. — Strong, and can provide excellent protection for both doors and windows. — Large panels are difficult to handle; hanging can require more than one person. — Sometimes don’t line up properly. — Permanently affixed beside the windows and don’t require any extra storage space. — Can easily be made storm-ready by one person. — Can look bulky and out-of-place on some houses. — Glide on wheels, and have the potential to break more easily than some of the other systems. — Provide permanent shade and privacy, even in the open position. — Have traditionally been weaker than other systems, but the newest models protect well. — Design limits their use. They can’t be used to protect doors. — Are permanently affixed above the windows and don’t require any extra storage space. — Offer some of the best protection, and make an excellent theft deterrent. — Most expensive of the popular shutter systems. — Push-button-operated roll-down shutters require a battery backup system so the shutters can be lowered and raised during power outages. — Eliminates the need for hurricane shutters. — The most practical hurricane glass is similar to a car windshield, with a durable plastic-like layer sandwiched between glass. The outside layers break, but the center prevents a hole. BUT IF IT IS HIT MULTIPLE TIMES IN THE SAME SPOT IT MAY BREAK. — Must be installed by a window contractor. — The frame must be replaced along with the panes to meet code. Todd Perry, a State of Florida Certified Building Contractor and president of Leading Edge Homes, Inc., provided this information. If you have questions about a home improvement project, call Leading Edge Homes at 561-795-2551 or email Todd at: todd@leadingedgehomes.com and he’ll be happy to share his knowledge with you. Leading Edge Homes, Inc. specializes in improving your lifestyle through room additions, bathroom renovations, kitchen updates, hurricane-resistant screen enclosures, and more! In business since 1991, they demolish your stress by building your trust. Visit the Leading Edge Home’s website or call 561-795-2551 to discover how they can help you with your next home remodeling project in Palm Beach County. HOME REMODELING – Do-it-Yourself or Not?